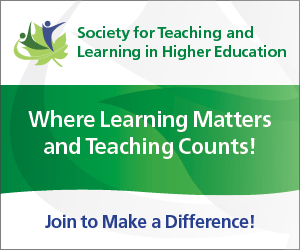 Joining STLHE means you will become part of a community advocating for the improvement of quality learning and teaching in post-secondary education within Canada and beyond. Remember, membership is on a rolling-year basis, so you will always have a full year of benefits. If you are already a member, login above to access the Members Only Centre and quickly connect with like-minded colleagues through our directory, access publications and keep track of your membership. We will continue to build this Centre by adding new content, images, videos and more. By-Laws discussion forms require you to login (upper right of this screen) and are located in Members only tab on the left. If you have any questions or suggestions, please email the Society's Administrator.